Liquitek has been the exclusive representative for Calgon Carbon Corporation’s UV Technologies Division in Australia and New Zealand since 2007. Calgon Carbon is not only a world leader in granular activated carbon solutions, but also one of the world’s foremost providers of ultraviolet light (UV) disinfection and advanced oxidation process (AOP) technologies for water. With factory-trained staff Liquitek offers comprehensive technical support and spare parts for all Calgon Carbon UV systems. All of Calgon Carbon's Sentinel UV reactors are validated in accordance with USEPA UVDGM for drinking water and recycled effluent applications. Sentinel UV reactors are available in various sizes and use electro-magnetic ballasts to drive Medium Pressure Lamps ranging from 4kW to 20kW. Sentinel reactors use one UV intensity sensor per lamp for optimal dose and power control. - Incorporates a Delta Wing mixing device that is designed to provide exceptional hydraulic and germicidal efficiency. - Uses the highest power low pressure horizontal lamps available, which means the system will have fewer lamps, resulting in less maintenance. 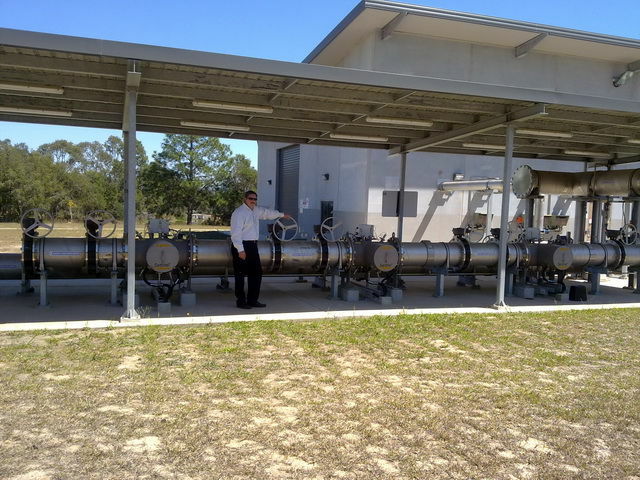 Liquitek is the exclusive representative for UV Pure and their two UV system product lines, Hallett and Upstream, in Australia. We undertake sales, provide technical support and supply spare parts for these systems. 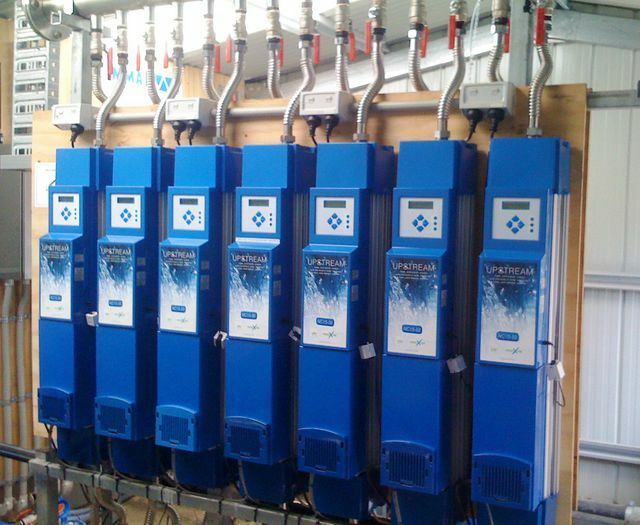 Since 1998, over 14,000 UV Pure systems have been installed in residential, commercial, industrial, public and municipal applications treating wastewater, effluent reuse water, rainwater, and drinking water. An aerospace version of UV Pure’s technology has been chosen by Boeing to purify water on its 21st century airplane, the new 787 Dreamliner®. At the heart of all Hallett and Upstream UV systems is UV Pure’s patented Crossfire Technology which offers many advantages compared to conventional UV systems. Lamps are mounted in air surrounded by elliptical reflectors providing more effective deactivation of pathogens, incorporating easy lamp changes and visual quartz inspection. All systems are self-cleaning, and smart, with multiple sensors and on-board diagnostics. 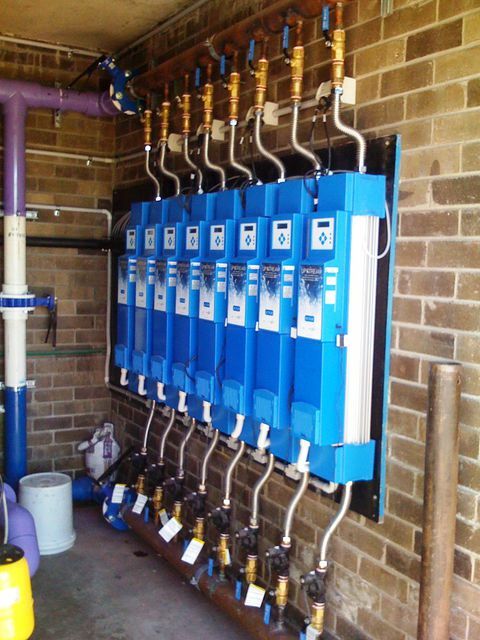 Hallett UV systems are engineered for simple, efficient multiplex configuration, and treat flows up to 3.8 ML/d for wastewater, effluent reuse and potable water applications for UVT as low as 45%. 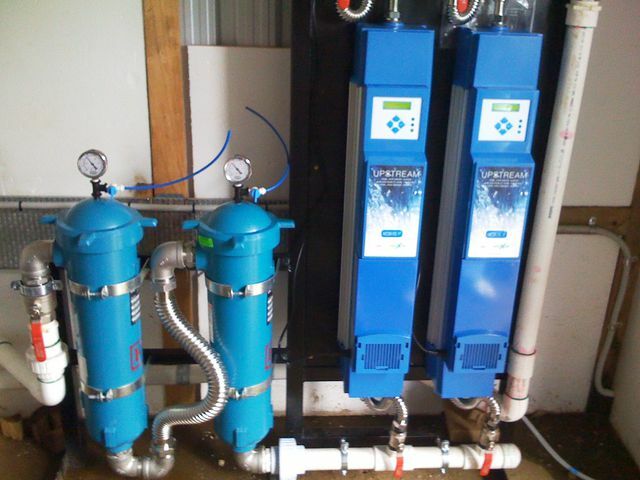 Potable treatment systems are NSF/ANSI 55 Class A Certified. 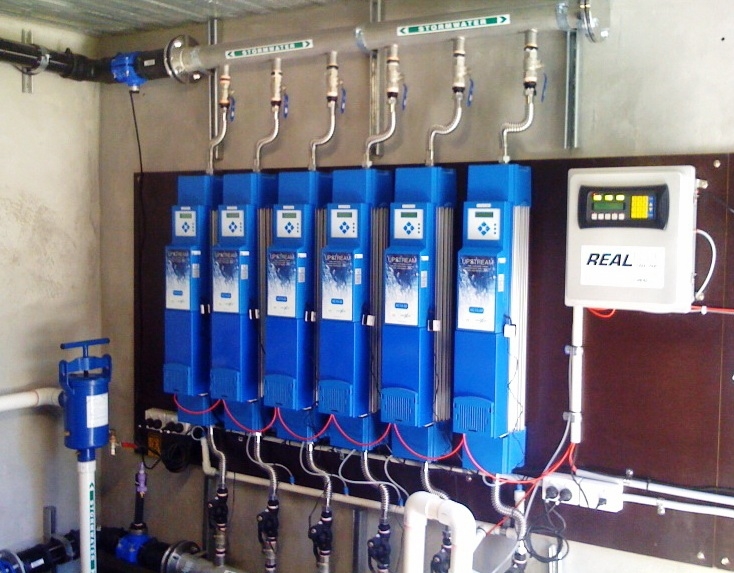 Upstream UV Systems are for potable water, rainwater and effluent reuse applications. Upstream systems are engineered to reduce e-coli, bacteria, cysts like cryptosporidium and giardia, legionella and most viruses to safe levels. Upstream is engineered to meet the Class A requirements of NSF/ANSI Standard 55 (but are not NSF/ANSI 55 Class A Certified). Upstream systems are effective for pre-treatment on surface water from lakes, streams, tanks and wells with UVT as low as 50%.